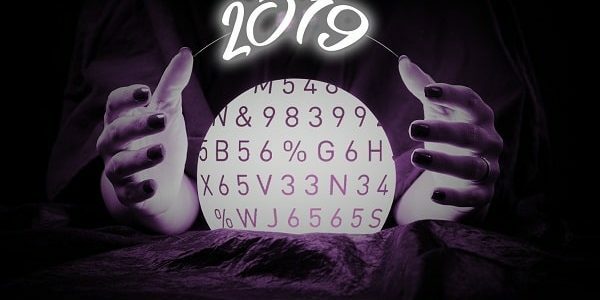 Silicon Republic – Cybersecurity trends 2019: What should you look out for? This post also appears on the Gemalto Enterprise security blog here. Despite having two years to prepare for its inception, some companies were still not ready when GDPR hit and have faced the consequences this year. According to the law firm EMW, the Information Commissioner’s Office received over 6,000 complaints in around six weeks between 25th May and 3rd July – a 160% increase over the same period in 2017. When GDPR came into force, there were questions raised about its true power to hold companies to account – with the regulation saying fines could be implemented up to £16.5 million or 4% of worldwide turnover. The latter half of this year has shown those concerns were unfounded, with big companies, including Uber as recently as this week, being fined for losing customer data. What 2018 has shown, is the authorities have the power and they’re prepared to use it. In fact, the role of GDPR was to give more power back to the end user about who ultimately has their data, but it was also ensuring companies start taking the protection of the data they hold more seriously. Unfortunately, while the issue around protecting data has grown more prominent, the methods to achieving this are still misguided. Put simply, businesses are still not doing the basics when it comes to data protection. This means protecting the data at its core through encryption, key management and controlling access. In our latest Breach Level Index results for the first half of 2018, only 1% of data lost, stolen or compromised was protected through encryption. The use of encryption renders the data useless to any unauthorised person, effectively protecting it from being misused. Another reason to implement this is it is actually part of the regulation and will help businesses avoid fines as well. With such a large percentage still unprotected, businesses are clearly not learning their lessons. So, moving on from last year, what might the next 12 months bring the security industry? Based on the way the industry is moving, 2019 is set to be an exciting year as AI gains more prominence and, quantum and crypto-agility start to make themselves known. Up until now, the use of AI has been limited, but as the computing power grows, so too do the capabilities of AI itself. In turn this means that next year will see the first AI-orchestrated attack take down a FTSE100 company. Creating a new breed of AI powered malware, hackers will infect an organisations system using the malware and sit undetected gathering information about users’ behaviours, and organisations systems. Adapting to its surroundings, the malware will unleash a series of bespoke attacks targeted to take down a company from the inside out. The sophistication of this attack will be like none seen before, and organisations must prepare themselves by embracing the technology itself as a method of hitting back and fight fire with fire. As organisations embrace digital transformation, the process of migrating to the cloud has never been under more scrutiny; from business leaders looking to minimise any downtime and gain positive impact on the bottom line, to hackers looking to breach systems and wreak havoc. As such, 2019 will see the rise of a new role for the channel – the Cloud Migration Security Specialist. As companies move across, there is an assumption that they’re automatically protected as they transition workloads to the cloud. The channel has a role to play in educating companies that this isn’t necessarily the case and they’ll need help protecting themselves from threats. It’s these new roles that’ll ensure the channel continues to thrive. With 2018 fast disappearing, the next year is going to be another big one no matter what happens, as companies still struggle to get to terms with regulations like GDPR. With growing anticipation around the impact of technologies like quantum and AI, it’s important that companies don’t forget that the basics are just as vital, if not more, to focus on. So, while 2018 has been the year where cybersecurity finally became a boardroom issue, 2019 needs to be the year where its importance filters down throughout the entire company. For an issue like cybersecurity, the company attitude towards it needs to be led from the top down, so everyone buys into it. If that happens, could next year see no breaches take place? Extremely unlikely. But maybe it could be the year the industry starts to turn the tide against the hacking community. More extensive that ever: AI-driven chat-bots to Zero-day mining as a service, Fuzzing; 5G, successes & failures of GDPR, loss of faith in the public internet, the IOT, breaches, Sim-jacking, skills shortage, ROI, death of privacy, failure to evolve and a host of novel new threats and solutions. AI will be used by hackers for most sophisticated cyber-attack ever: “Next year will see the first AI-orchestrated attack take down a FTSE100 company. Creating a new breed of AI powered malware, hackers will infect an organisations system using the malware and sit undetected gathering information about users’ behaviours, and organisations systems. Adapting to its surroundings, the malware will unleash a series of bespoke attacks targeted to take down a company from the inside out. The sophistication of this attack will be like none seen before, and organisations must prepare themselves by embracing the technology itself as a method of hitting back and fight fire with fire.” – Jason Hart, CTO, Data Protection at Gemalto.